When it comes to choosing a dog to join a family, its important to consider various things including how much space you have, how old your children are, how often your going to be able to exercise your dog and many other factors. While its important to choose carefully when picking a dog for a family, here is a list we've compiled of good dogs for families as recommended by various experts. 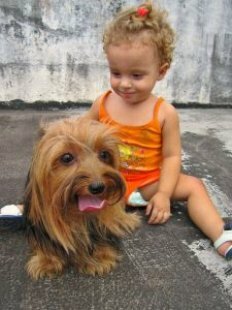 Of course, the list isn't exhaustive and many breeds work well with children. Always remember that there can be good dogs and bad dogs in every breed so it's important to know that individual dogs within breeds can demonstrate their own, unique personality traits. No matter what breed you choose, you shouldn't leave dogs and young children together unsupervised – for the safety of both.